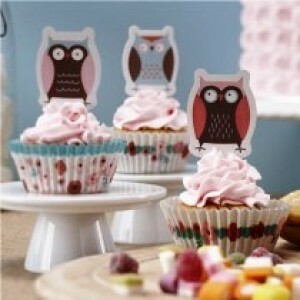 Our cupcake kit comprises of 50 cake cases in 2 designs and a pack of 20 owl cupcake toppers. Each topper is around 4.5cm in height. Great for home bakers or a party.